Growing up as a competitive gymnast, Veronica is very familiar with the importance of stretching, flexibility and maintaining a healthy body. From a young age she learned to incorporate stretching and self massage into sports and daily living. Her hope and mission is to help provide the knowledge she has gained to facilitate people to feel empowered to be healthy and active, not only for sport performance but also through the strains of day to day living so they may enjoy life to its fullest potential. Veronica graduated from the competency based, mastery level program at West Coast College of Massage Therapy. 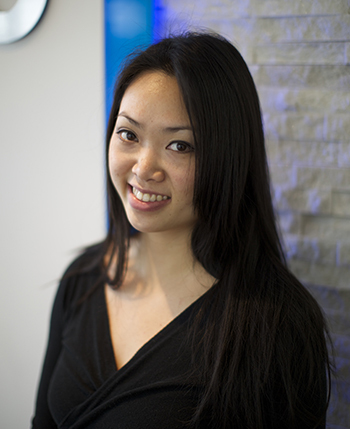 Before entering the world of massage, she obtained her Bachelor’s degree in Human Kinetics from the University of British Columbia and became a registered practicing kinesiologist and a Level 2 Manual Fascial Stretch Therapist. Veronica completed her level 1 and 2 stretch therapy courses through the Stretch To Win Institute in Tempe, Arizona and is continuously upgrading her courses and expanding her knowledge in the field. Veronica has had the opportunity to work with a wide range of clientele. From those looking for a unique way to rejuvenate their body, to those preparing or recovering from the strains of their sports or activities.